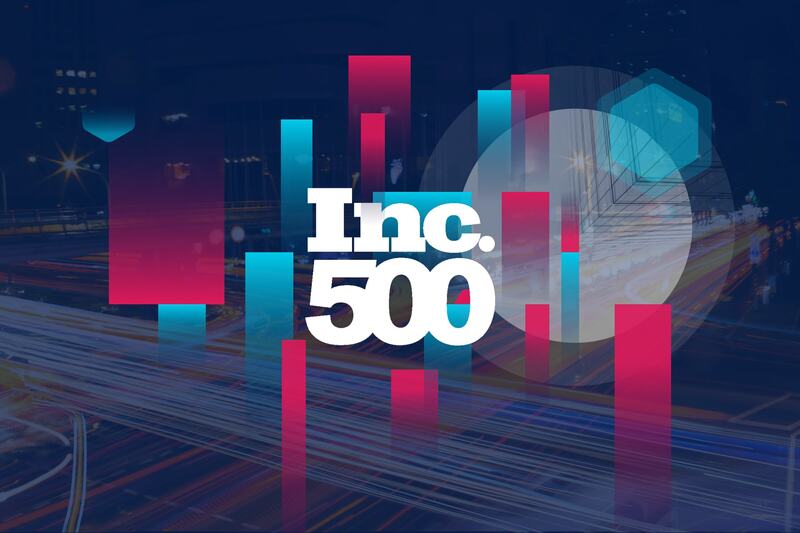 Ventive Earns a Spot in the Inc. 500! Ventive earns position number 172 in the 2018 Inc. 500 listing. With a three-year growth rate of 2,489%, Ventive earned position number 172 amongst some of the fastest growing private companies in the nation by Inc. Magazine in 2018's special Inc. 500 edition. Ventive’s clients have ranged from enterprises like Broadsoft which was acquired by Cisco earlier this year, to local startups, like ReaderZone, Cred, Keyolo and PIYP. 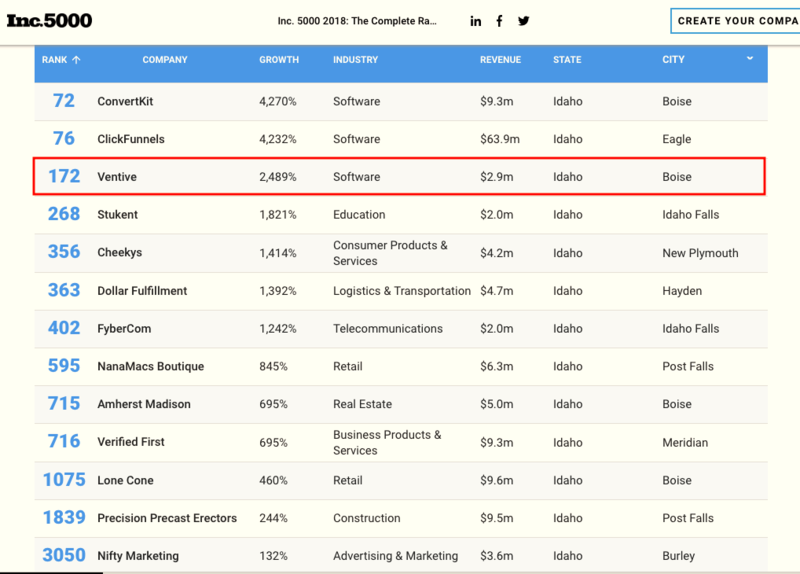 Ventive is excited to be amongst the fastest growing companies in America and alongside 23 other Idaho companies ranging from software products to real estate and logistics. Congratulations to all the companies for their success!